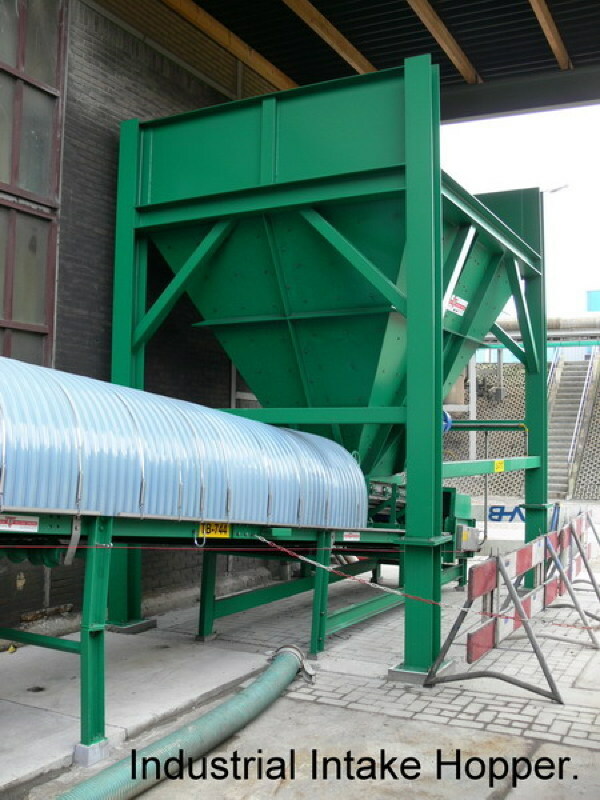 This conveyor transports powder and granular materials such as grain or fertilizers. 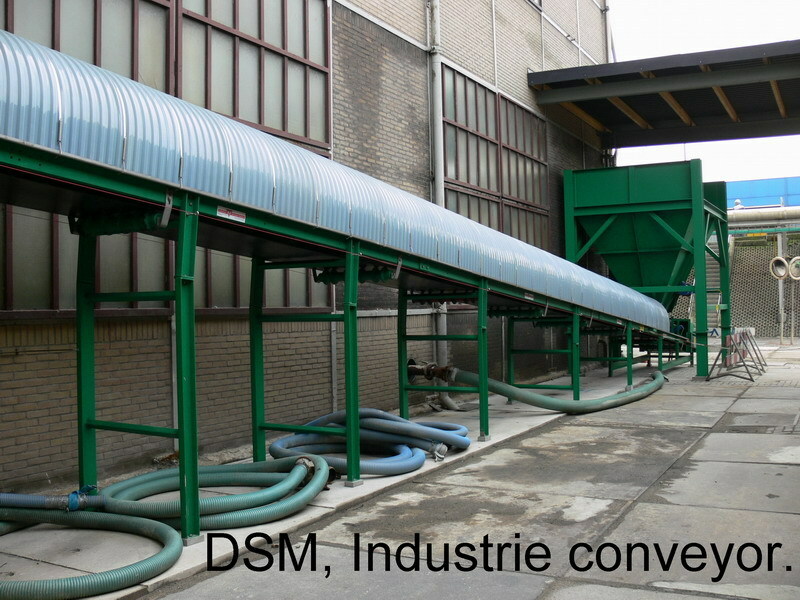 Capacity up to 350 ton/m³ per hour. Normal steel or stainless steel. 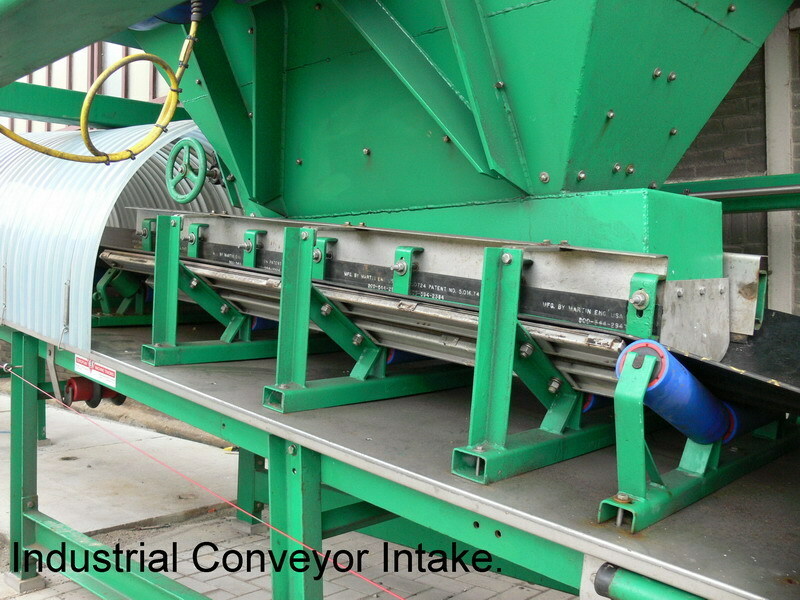 The conveyor can be adjusted to customer demands. The material is filled into the hopper of the conveyor. This intake hopper has rubber-closing plates to reduce material loss. The conveyor is built up of chopped stainless steel or mild steel U-profiles. The frame exists of sections that are bolted together. Cross bracings strengthen the frame. The rubber belt has a smooth top for horizontal transport or a Chevron type belt when the conveyor is installed into an inclining position. 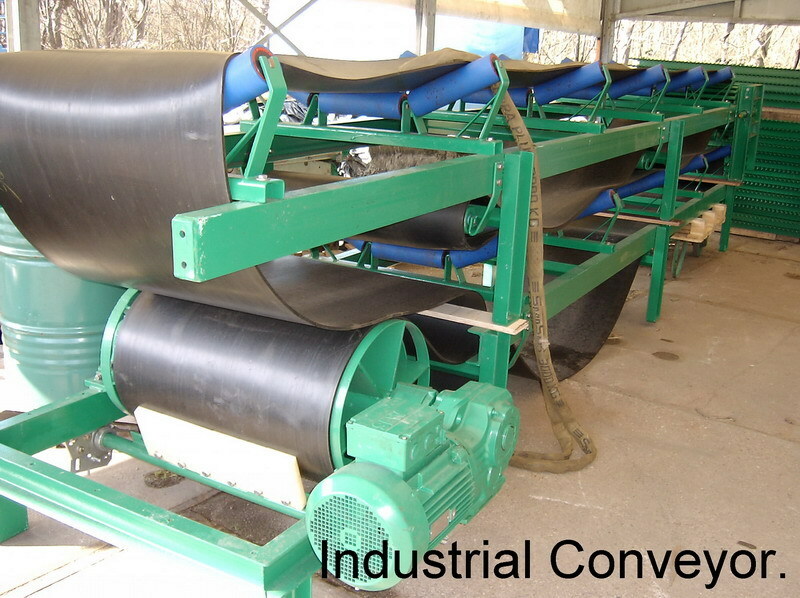 The conveyor belt rolls on stainless steel rollers and is driven by a drum drive roller or gearbox motor. 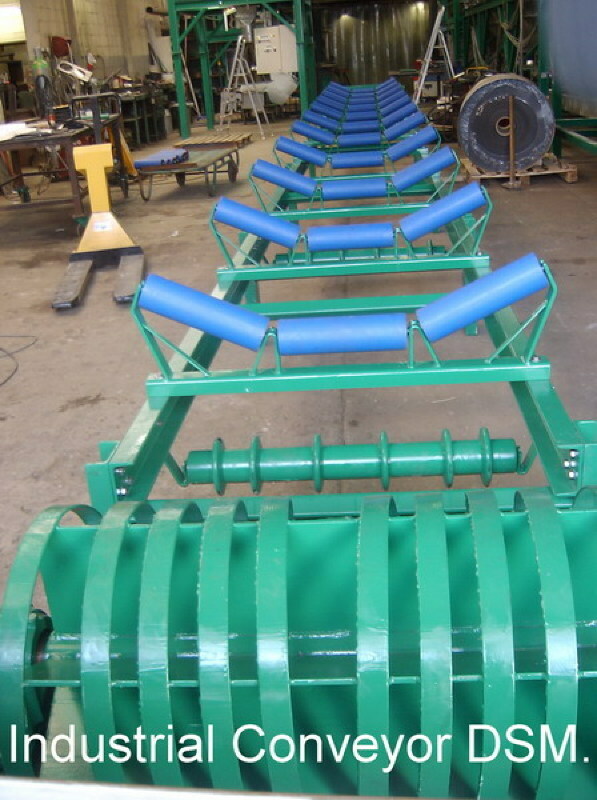 The Tri-Rollers at the upper part of the conveyor frame consist of three sections: one middle roller and two side rollers, this gives the belt a V-shape. The rollers are bolted to the conveyor belt frame. The Idler roller is mounted on two bearings, one on each side and is adjustable with a spanner at two sides. This makes it possible to regulate the tension of the conveyor belt. A stainless steel chute at the end of the conveyor discharges material downwards. 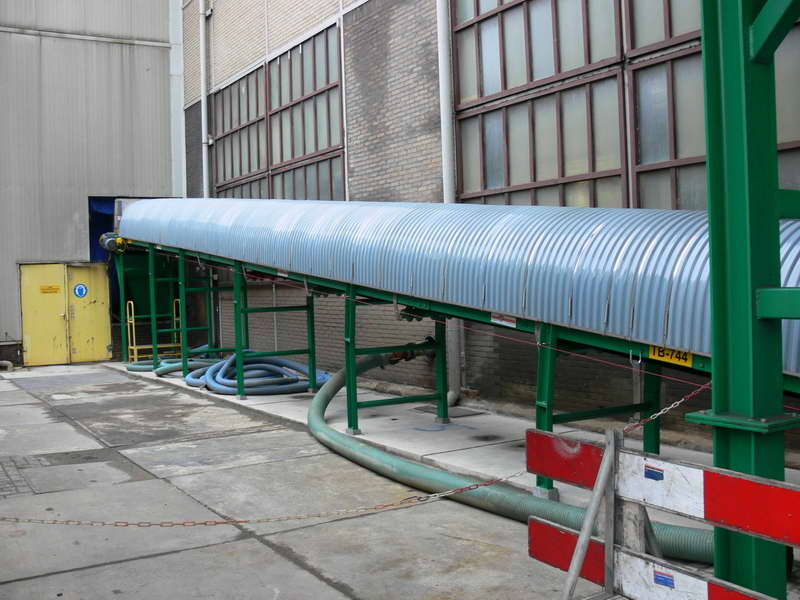 The Industrial Transport Conveyor has a capacity up to 350 ton/m³ per hour.